With 4 theme parks, 2 water parks and a whole host of resorts to stay at, Walt Disney World in Florida attracts people from all over the world. Whether you decide to go to Disney World just for the thrills or to get in some family bonding, taking your teen to Disney World can be a rewarding experience for everyone. The real trick is knowing which rides to take them on. The best part is that all of the Disney World amusement parks feature some great rides for teens or tweens. So, what makes an amusement park ride more appropriate for one age group over another? Well, fear and speed is a good start. Most teens love a good scare and although Disney World is often attributed to the young at heart, they still have some of the biggest and fastest rides around for those seeking a little more adrenaline. Looking to make your holidays to Disney a success? Take your teen or tween on some of these Disney World attractions and see if they still think that they’re too big to enjoy Disney. Teens and adults are in for a mystery-filled, thrilling ride on the Tower of Terror attraction inspired by the famous TV series. According to the background story, the building used to be a hotel that was closed in 1939 because of an unexplained event. The tower is now reopened for visitors eager to explore the mysterious corridors of the once-elegant, now abandoned and very scary hotel. Spoiler alert! This ride features some big drops. Even teens love dinosaurs. Dinosaur at Disney’s Animal Kingdom will not only take you and your teen 65 million years back in time but might give you a few extra grey hairs as well. Upon entering, you’ll be introduced to the age of dinosaurs through various exhibits before jumping into a maniacal time rover roller coaster that will take you back to prehistoric times. Definitely not for the faint of heart. Checking out Disney Worlds Blizzard Beach water park with your teen? We have a slide that will make your teens heart (and yours as well) skip a beat or two. The catch is, you need to do a bit of climbing before you can start the most thrilling slide of your life. If the 12 story climb to Summit Plummet didn’t wind you, you’ll have trouble catching your breath at the spectacular view from one of the highest waterslides on the continent. The Summit Plummet will take you through darkened tunnels, almost vertical drops and really tight, sharply turning sections. When your slide is over, you can look at the display to check out your top speed. Winner gets to choose the next ride! Celebrate the worlds most expensive roller coaster with Disney’s tallest roller coaster ever, Expedition Everest. This teen favorite Animal Kindgom ride will have your teen coming back for years to come. Featuring quick turns as well as a backward section, Expedition Everest is sure to put a smile on your teen’s face. Featuring one of the largest animatronic’s ever, the 25 foot Yeti will also make you understand why he’s the true king of the hill. Always a favorite, Big Thunder Mountain Railroad might not have the adrenaline kick of Expedition Everest but it will still leave a smile on your teen or tweens face. If you’ve ever been to one of the other Disney Resorts around the world, this classic roller coaster ride will have you looking for gold while enjoying a quick ride around and through Thunder Mountain. If your teen isn’t huge into roller coaster rides, this one might just win them over. Another attraction that will get your stomach moving and will give your teen or tween the opportunity to test their courage is the Rock ‘n’ Roller Coaster ride at Hollywood Studios. The roller coaster accelerates from 0 to 57 mph in less than 3 seconds and there are sections where the riders will experience what 5G feels like (almost twice the G that you experience in a rocket launch). To create the right setting and the right mood, the roller coaster ride is accompanied by Aerosmith’s energetic rock music, with the lyrics of the songs being altered specifically for the roller coaster. The quality of the sound matches the quality of the ride and the tracks truly amplify the thrill of the roll overs, corkscrews and humpbacks. You’ll also have proof of your bravado – the cameras installed in the trains take pics of the riders, so when the ride is over, you can see who was the most scared during it’s scariest sections. The original dark indoor high speed roller coaster, Space Mountain is also the oldest roller coaster in Florida. It was also one of the first roller coasters that I ever fell in love with. Combining darkness, space and high speed mayhem has kept this ride popular for over 40 years. Take your teen on Space Mountain and let them experience the same ride you enjoyed in your teens and then compare notes. Is it all that you remembered? Have your own favorite teen Disney World ride? 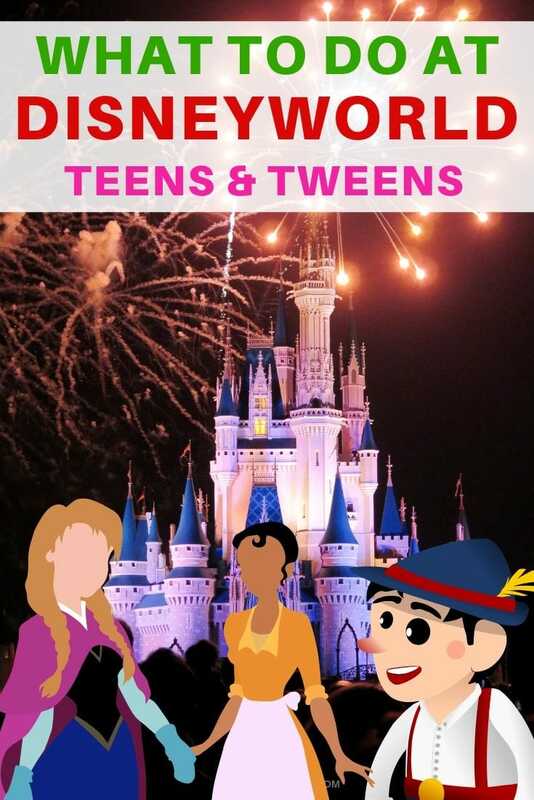 Have the perfect Disney World teen experience and want to share? 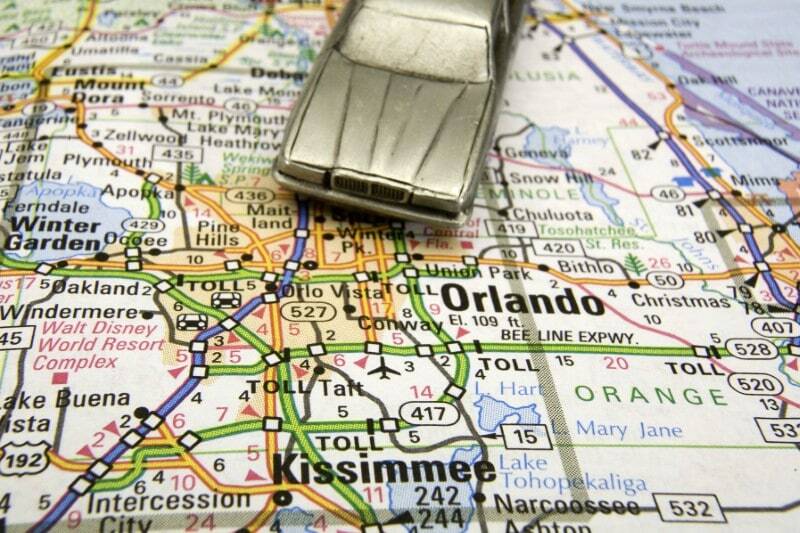 Let us know in the comments which is the best Disney World park to take your teen to. We’d love to compare notes!